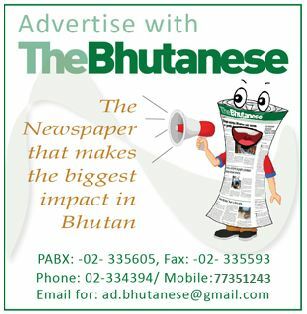 This paper in December 2017 broke news of an additional 11th session by June 2018 to fulfill a constitutional obligation of two sessions a year and to pass the current budget which consist of salaries, maintenance expenditure etc. However, a new concern that is cropping up is the need to also pass some part of the capital budget which is to do with construction of infrastructure like roads, schools etc in relation to the spill over activities of the 11th plan. Every plan period has some spillover activity heading into the next plan period either due to delay in starting the project, completing the project, delay in funds or the very nature of the project that may require a longer construction period. With no new projects starting most of these would have to do with the completion or final stages of ongoing 11th plan activities like roads, rural infrastructure etc. 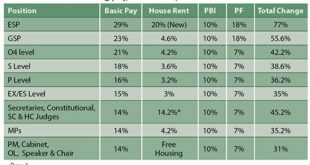 Without any additional funds given from the coming year’s budget some of these projects could get stalled. The speaker explained that the NA and the current government would have to dissolve by 2nd August which meant that there would not be any session or passing of any budget till up to December 2018. This would mean that for these five months not only would developmental activities come to a halt but more importantly some ongoing 11th plan activities cannot get completed even with funds available, if the NA does not pass some part of the capital budget in the 11th session. The speaker said given the urgency of the issue at hand he would take up this matter with the plenary which should happen in June 2018. The plenary is a meeting of all NA MPs where they discuss about the upcoming agenda of the NA and other relevant issues. Lyonchhen said that the last thing one needs after a successful second Parliament is to have the final session becoming heavily politicized. The PM said that on the one hand there is the national interest to pass these spillover activities but in doing so other parties may think the government will be gaining ground and so the nation could suffer if the spillover activities are not passed. The PM said that it is important to be consultative on the matter. Given that June would be just two months away from August 2nd it is not sure if the Opposition would agree to this. The Opposition MP Dubtho said that technically if it is just the 11th plan spillover activities then an adjustment would not be a problem but he also pointed out the danger of procedural lapses. The MP said that the issue should be discussed with experts and should be taken up in the plenary meeting. He said that since there has been no formal notification of a 11th session the Opposition party has not got an opportunity to discuss these issues in detail to take a stand. 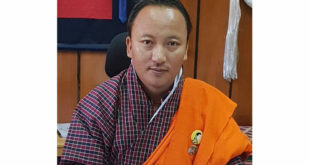 In an earlier interview the Opposition leader Pema Gyamtsho said that the Opposition party does not have any issue with an 11th session as long as it is not used to pass the 12th five-year plan and the budget. He had said that there is already a provision for the current expenditure budget to be allocated automatically without having to pass it in the house. The Opposition leader said that it will not be fair to the incoming government if the 12th plan and budget is already passed when they come into office. MP Dubtho had said that the Public Finance Act has a provision where it says in the event of the budget not being passed the same figures as the previous year is allocated along with a certain increase in the percentage. However, the Speaker was clear that the 11th session would not be used to pass any part of the 12th plan capital budget which would be left to the new government. 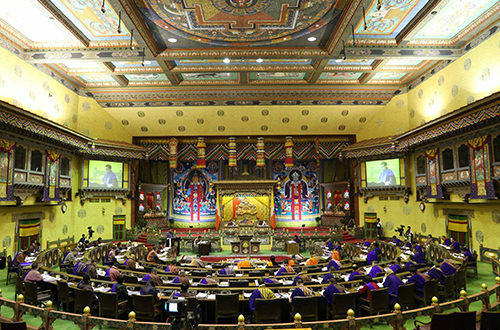 The speaker earlier pointed to several Constitutional and legal provisions that he said mandates a 11th session. He said at the time that Article 10 section 24 which deals with the Parliament says that that the NA and NC shall continue for five years from the date of the first sitting of the respective Houses. 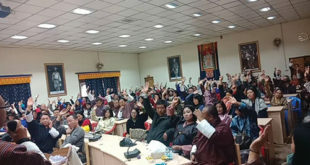 The speaker said as per this same section the NA can only be prematurely dissolved either by a recommendation of the Prime Minister to the Druk Gyalpo or through a vote of no confidence. The prime minister on separate occasions has already made it clear that though it may be advantageous to the government they would complete the full five-year term and not go for any early dissolution. The speaker then said as per the constitution the prime minister has to present an annual state of the nation report to the Parliament. Citing Article 25 section six of the Constitution dealing with the Royal Audit Authority (RAA) the speaker said that the Parliamentary Accounts Committee (PAC) has to review and report on the Annual Audit Report to Parliament for its consideration or on any other report presented by the Auditor General. The speaker earlier pointed out that the National Council will be reconstituted by 10th May and the NC itself needs to assemble twice a year and so the NA and the NC can have a joint sitting together.